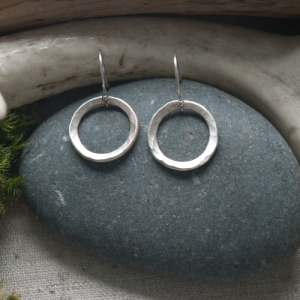 Hand-formed by Maine artist Lisa Gent, these sterling silver drop hoop earrings come with a matte finish. These are perfect with any outfit, dressy or casual. Whether you want something petite or statement-making, you can find the right size at The Shop.